Elbert “Doc” Switzer, 70, passed away March 14, 2019. 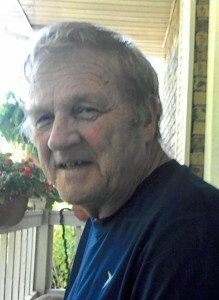 Doc entered into this life June 30, 1948, in Vanceburg to the late Earnest and Ona Bryant Switzer. He was a member of Gateway Christian Church. He was retired from the United States Army and Schneider International, and was a retired bus driver for Clarksville Montgomery County School System. Survivors include his wife, Sue Switzer; a son, Josh (Christina) Switzer; a daughter, Crystal (Brent) Roberts; a brother, Dean Switzer; two sisters, Evelyn Hardy, and Jackie Applegate; and three grandchildren, Kayson, Jaid, and Caroline. In addition to his parents, he was preceded in death by his twin brother, Delbert Switzer, and three other siblings, James Switzer, Margie Flinders, and Patty Thourman. A Celebration of Life will be at 11:00 a.m. Tuesday, March 19, 2019, in the chapel of McReynolds-Nave and Larson Funeral Home in Clarksville, Tennessee, with Rev. Scott Whitt officiating. Burial with Full Military Honors will follow at Kentucky Veterans Cemetery West. The family will receive friends Monday, March 18, 2019, from 4:00 p.m. until 7:00 p.m. and Tuesday from 10:00 a.m. until the hour of services at the funeral home. In lieu of flowers, memorial contributions are suggested to Gateway Christian Church. Condolences may be sent at www.NaveFuneralHomes.com.